When designing hydraulic systems, the process is complex and the results must be precise. Hydraulic systems are complex, which is why mathematics and computer programs are necessary to design them. 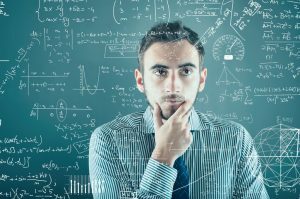 With mathematical equations, you can predict machine behavior and performance under a specified set of conditions. This is important if you are building a custom hydraulic system, or one that will be operating in a specific – or varying – set of external conditions. Formulas can be used to calculate cylinder speed and force at various levels of flows, pressures and areas. The great thing about these models and programs advancing is that eventually prototyping will be unnecessary. That means minimizing costs, because you won’t be building physical prototypes. It seems impossible, but mathematics and computer programming is becoming precise that an engineer will be able to design, test and debug a hydraulic system before a single cent is spent on hardware to build a prototype. Imagine the joy of eliminating prototype costs from your budget, knowing that you will still be getting a quality hydraulic system as a result. It’s definitely a concept that we’re sure you could get used to. Like many other aspects of our lives, advancing technology can have a significant impact. Aside from mathematics and formulas, if you’re unsure how to approach building hydraulic systems, there are other alternatives. Using mathematics to design hydraulic systems is nothing new. The concept has been around for a while, with experts looking to maximize efficiency and minimize costs. However, knowing the complex formulas and designing hydraulic systems is no small feat. For the average person, this can be a difficult task. Luckily, you can utilize the experts that Bernell Hydraulics has. Bernell Hydraulics knows that every hydraulic program is unique and these systems are not “one size fits all” by any means. Every business has their own needs, which can vary between industry and application. This is why we offer our custom hydraulic building service that will meet your exact needs and specifications. At Bernell Hydraulics, we have over 42 years of experience building hydraulic machinery. We have high quality components that will help your hydraulic equipment run smoothly. We will get you a quote in a timely fashion, generally within a couple of days. Ready to Let Bernell Hydraulics Help With Your Hydraulic Machinery? If you’re ready to take advantage of the 42 years of experience that we have to offer, give us a call today 800-326-7252. You can also stop into one of our four locations throughout the Inland Empire area of California, or send an email to . We will be happy to discuss any projects with you and will get right to work drafting a quote for you.